When you think of iconic Christmas destinations, Texas doesn’t always come to mind. But maybe it should. Turns out Christmas in Texas can be one of the best holiday experiences for you and your family. 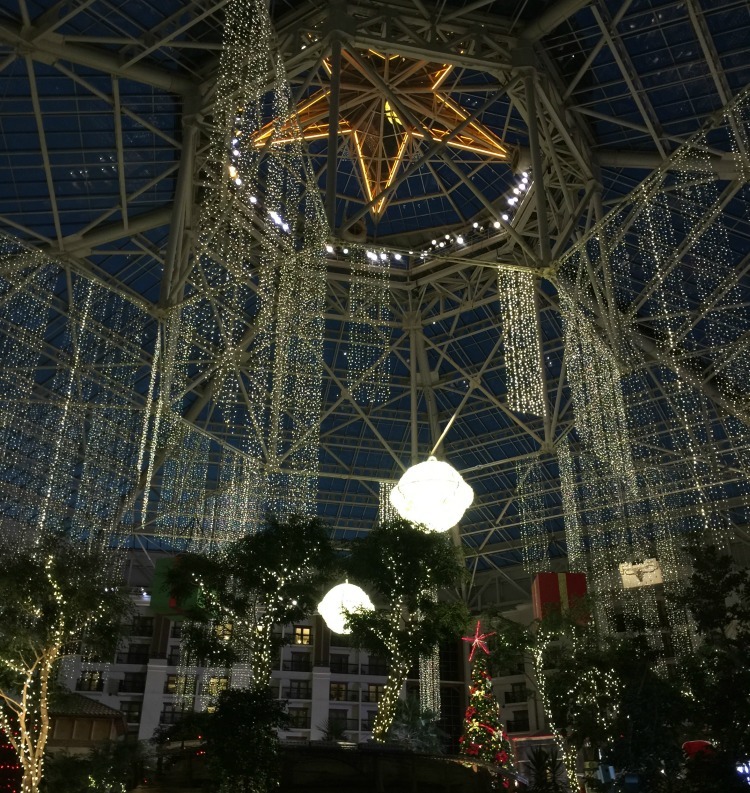 Our Globetrotting Grandmom discovered this when she experienced Christmas in Grapevine, Texas—the Christmas capital of Texas. Who knew? It turns out Grapevine has more than 1,400 holiday experiences for you to enjoy—and that is cause for celebration. 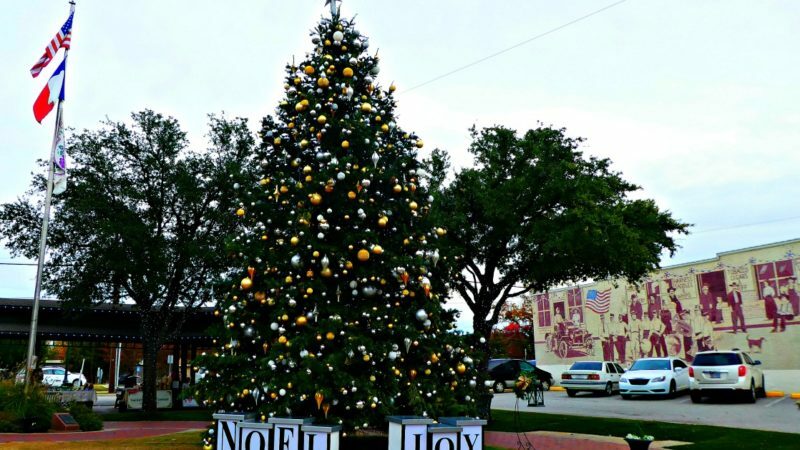 Grapevine, Texas: Showing the world how Christmas is done! Centrally located between Dallas and Fort Worth, Grapevine is a worthy destination in any season. But when the Christmas season arrives, this enchanting town transforms into a magical wonderland of holiday delights. I never thought I’d celebrate Christmas in Texas. After being introduced to the wealth of experiences in Grapevine—I’m in! 7 reasons to celebrate Christmas in Texas—Grapevine style. 1. Main Street is all dressed up. 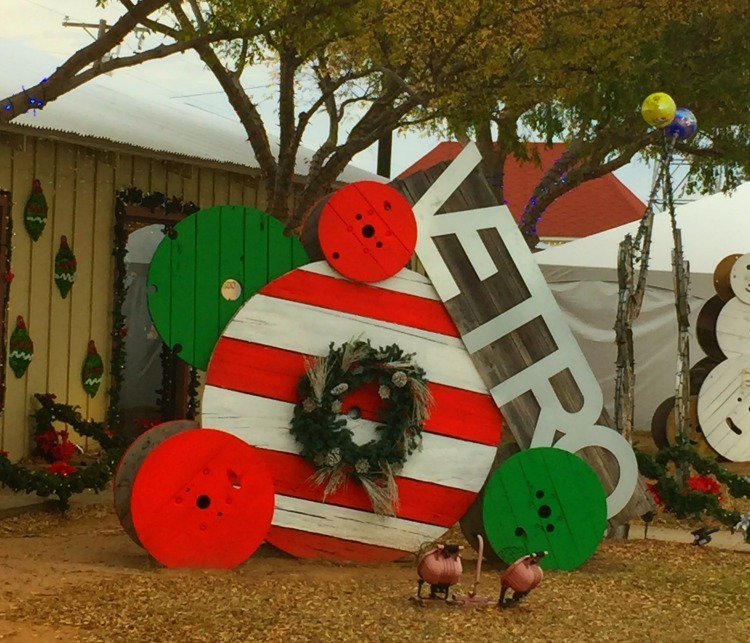 During the holidays, Grapevine’s historic buildings are dressed up with ribbons, bows, and wreaths. With more than one million lights along Main Street, the city literally glows. Musical performances delight residents and visitors alike. Fireworks brighten the night skies and hot chocolate melts the chill in the air. And if that’s not enough—there’s even a Light Show Spectacular. The season opens with the largest lighted Christmas parade in North Texas. More than 100 lighted floats join marching bands along downtown Grapevine’s historic Main Street. Marvel at the nightly Light Show Spectacular and maybe even enjoy the singing Christmas tree throughout the holiday season. The Twinkle Light Boat Parade takes the celebration to the water. Watercrafts decorated in all of the finest sparkling lights lead a floating festival from Twin Coves Marina as vessels join in the parade at each marina along the route. During the holidays, the Victorian rail coaches of Grapevine’s Vintage Railroad are magically transformed into a holiday haven. Climb aboard and you’ll be greeted by elves singing traditional Christmas songs. 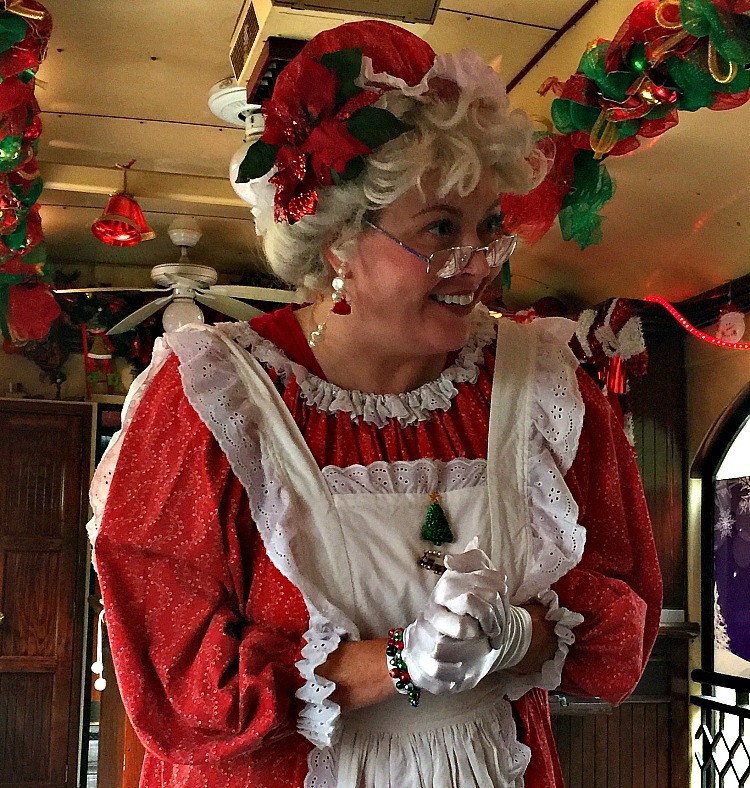 More magical moments unveil as the train draws closer to the North Pole when Mrs. Claus makes a special appearance to give each child a “We Believe” silver Santa bell. When the train arrives at the North Pole, a snowy Christmas tree trail filled with magical holiday moments leads to Santa. Jolly St. Nick wishes everyone a very Merry Christmas as he shares his Frosty Chocolate Snow Milk with all the boys and girls. 4. 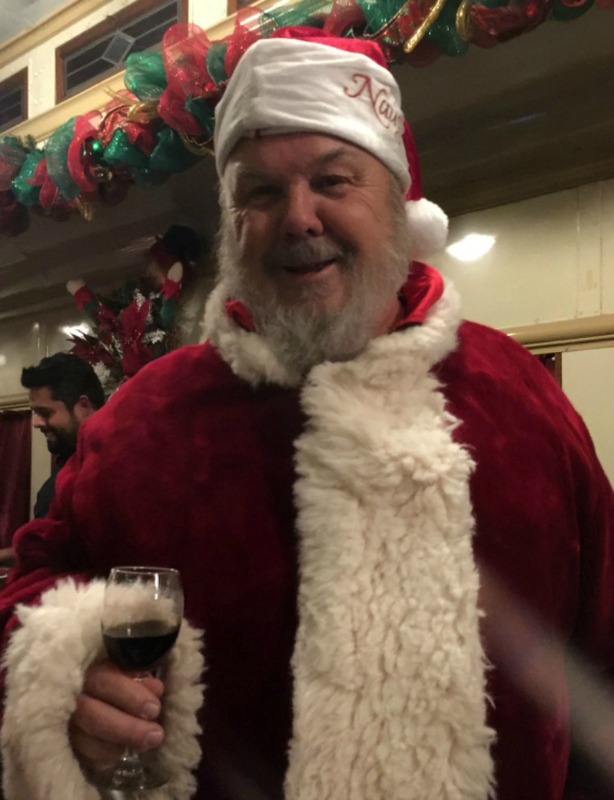 There’s a Christmas Wine Train—do you even need another reason? The little ones will be delighted with the Frosty Chocolate Snow Milk. The grown-ups might want something a little stronger. Get into the holiday spirit with a ride on the Christmas Wine Trains. Each train features a different Grapevine urban winery. Hors-d’oeuvres are served, and there’s plenty of holiday cheer. And, of course, Santa makes an appearance—a spirited Santa, if you know what I mean. Experience the fascinating craft of glass blowing with a workshop at Vetro Glassblowing Studio. Vetro’s open studio concept provides a hands-on opportunity for making a unique glass ornament to add to your collection. 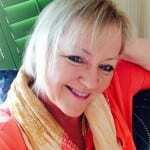 You’ll work with the artists to transform colorful ground glass crystals into a thing of beauty. From the fiery blast of the 2,000-degree furnace to the careful puffs of the glass blowing artists, you will treasure the experience as much as the ornament you help create. You may even start a new family tradition! The performing arts round out the magical experiences you’ll find in Grapevine. Catch GENTRI: The Gentlemen Trio performing Finding Christmas and Forever Young with their new show, A Forever Young Christmas. Of course, nothing says Christmas like a classic Christmas movie. And, watching that movie in a restored 1940s era theater is even better. Grapevine’s Palace Theatre has a full lineup of the classics including It’s a Wonderful Life, A Christmas Story, White Christmas and How the Grinch Stole Christmas. 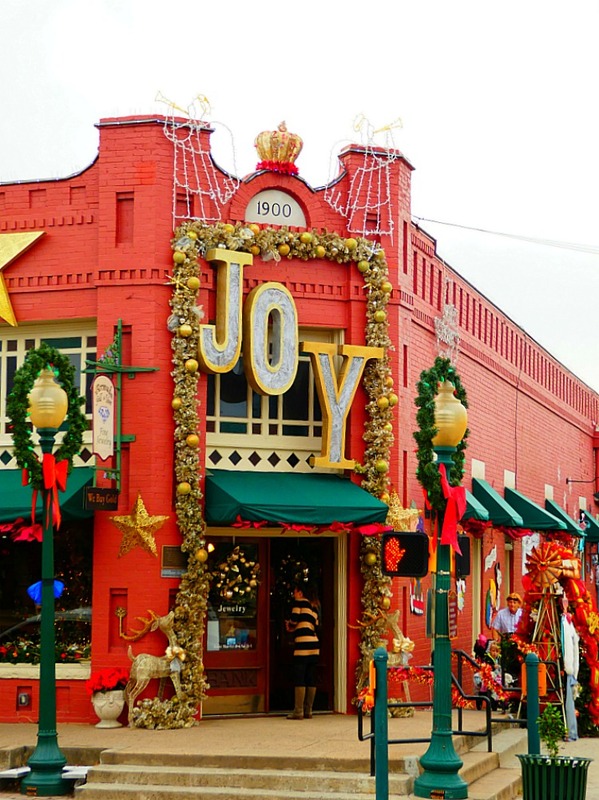 You’ll need a home base while you explore all the holiday experiences in Grapevine. The Gaylord Texan’s Lone Star Christmas package doesn’t just provide a family-friendly lodging option. It’s your headquarters for even more holiday fun. Go snow-tubing INSIDE the resort on 12 tubing lanes. Experience an enchanting night under the stars while you ice skate on Gaylord’s 6,000 square foot outdoor ice rink. Decorate cookies at the Gingerbread Corner. Join the Build-A-Bear Scavenger Hunt throughout the resort, or gather around for Christmas stories, cookies and milk with Mrs. Claus. But whatever you do, don’t miss ICE! This frozen exhibit carved from nearly 2 million pounds of ice will dazzle the entire family. 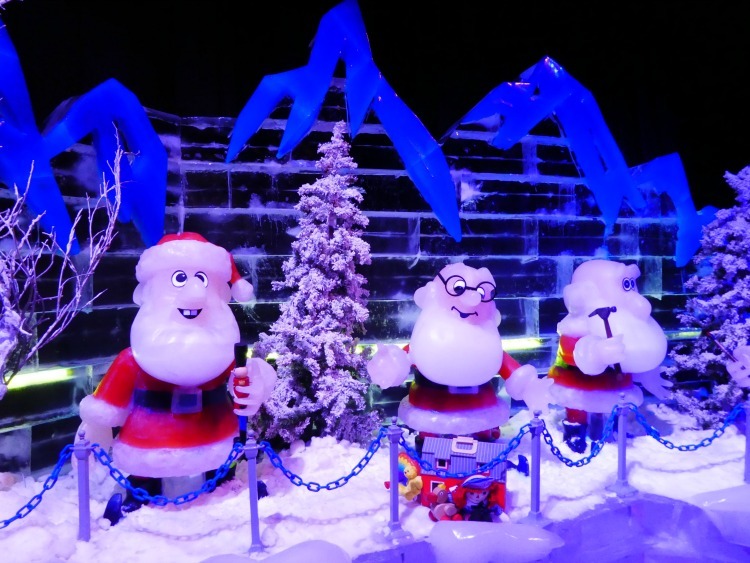 This year, ‘Twas the Night Before Christmas debuts with life-sized sculptures, monuments, and dramatic lighting effects. Y’all head on over to Grapevine to experience Christmas in Texas! Previous Post: « Hersheypark Hotel Reviews: Which is Right for Your Family? Personally, I have always preferred celebrating the holidays in Texas – even though a white Christmas is nice, too! Main Street is a great way to experience the Christmas Capital of Texas! We love Grapevine and live nearby. I would add that if want to visit ICE, go early in the day! Lines on the weekends can back up for hours, which can make for some grumpy kiddos!